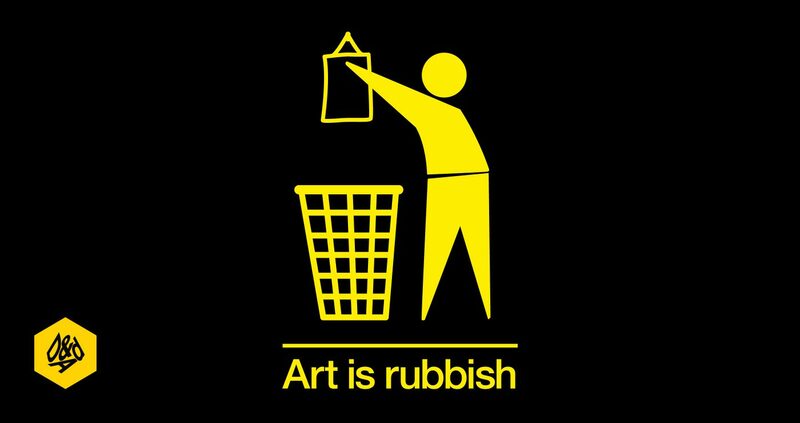 ‘Art is rubbish,’ a chARiTy event and art auction based on the theme of upcycling. When, where, what? Our three part invitation, printed on ‘upcycled’ stock. 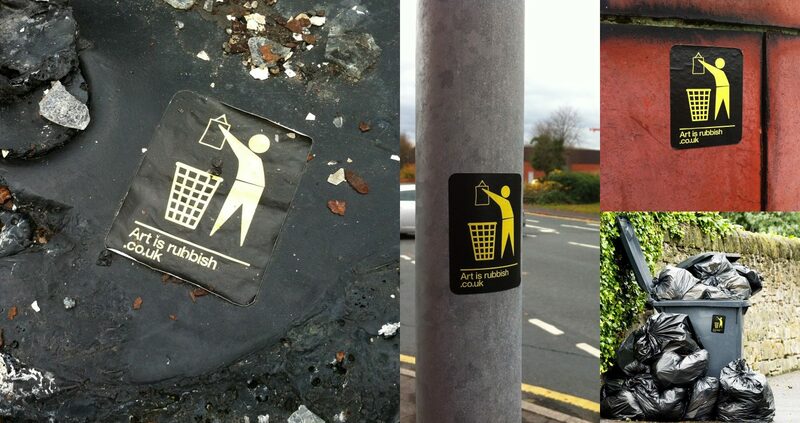 Guerrilla marketing campaign using stickers placed in relevant locations in and around Leeds. 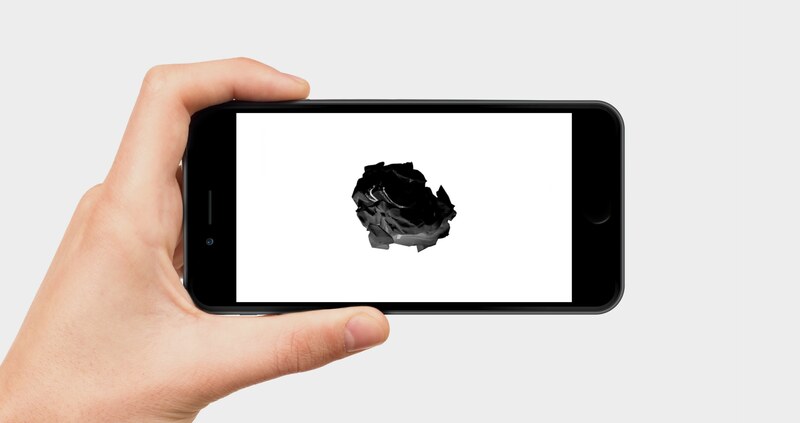 A digital teaser accompanied our invitations and guerrilla marketing campaign. 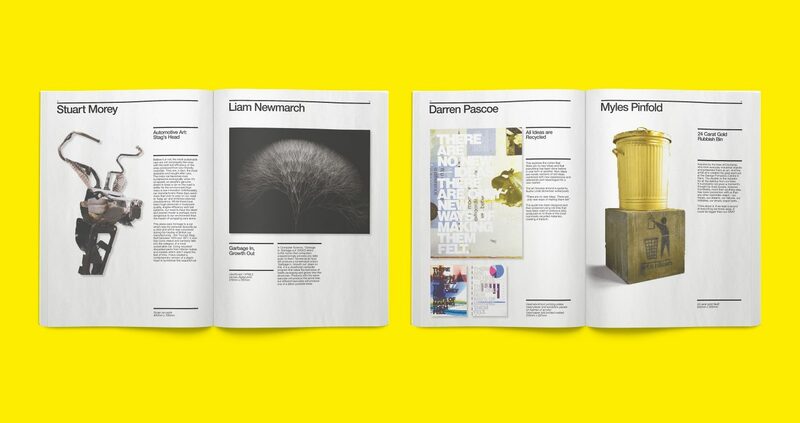 All the artwork at the exhibition was showcased in the catalogue. 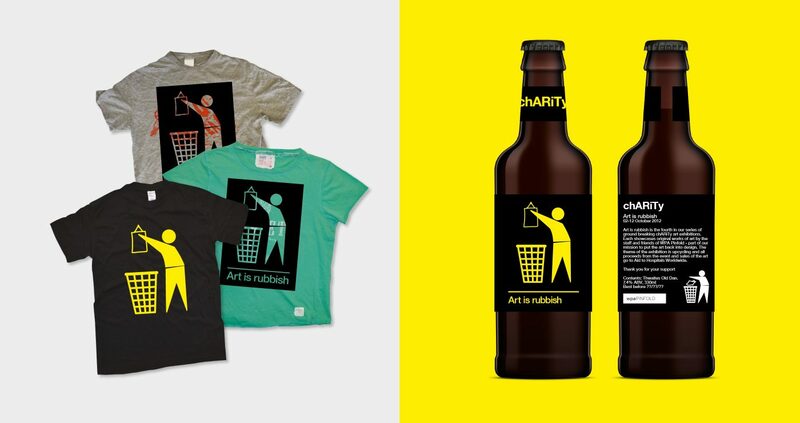 Upcycled t-Shirts and branded beer was on offer throughout the event. The exhibition was held at one of Leeds’ premier art galleries. 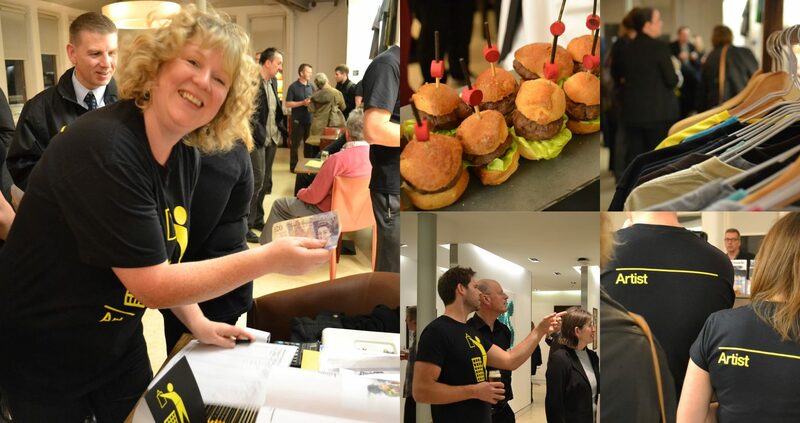 All artworks sold out and we raised over £6000 for our chosen charity. 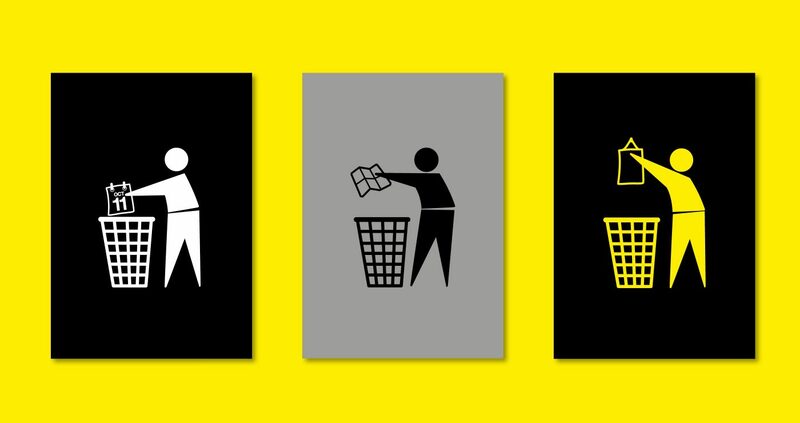 It was an eye-catching and relevant title that brought a commendable cause to everyone’s attention. The brief was followed through by all the exhibitors in a variety of imaginative ways and I’d have to concede that the exhibition was the most remarked upon show of the year. It was also the most successful.